← New Jersey Man Settles Motorcycle Accident Lawsuit For $500,000. No one plans to get into an accident and certainly no one plans to be a victim, but unexpected personal injury does happen. Hiring the right attorney can help you settle your case to your benefit so that you can get focused on what’s most important, getting your health back. For example, if you’ve been injured in an auto accident, a personal injury attorney can help you deal with car insurance companies and ensure that you receive fair treatment in settlement negotiations. But how do you hire the right attorney? What are the top 3 questions a personal injury or accident victim should ask their attorney? 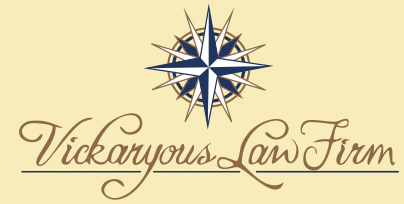 Not only have we provided the opinion of our law group, www.gilhoylaw.com, but we included the opinion of these “forward thinking” law groups with years of injury law experience to share their answers with you and to help you choose the best attorney for your case. As part of this expert roundup, I’d like to thank all of them for participating with their advice on this important subject. One more thing: the opinions and free valuable advice provided are in no particular order, they have been added in the order in which they were received. Injured in an Accident? Three Important Questions to Ask Your Personal Injury Lawyer Before Hiring Him or Her. When you have been injured in an accident through no fault of your own, and you are looking for a competent and experienced personal injury attorney to entrust with your case, there are many issues to consider. In making your important decision, there are also many questions to ask. Here are three of the most important questions to be sure to ask before selecting your lawyer. These questions include finding out how the lawyer’s fee agreement will work, how long it typically takes to receive compensation, and what area of the law this specific lawyer specializes in, including the scope of their experience and expertise in that area and their track record. In answering these questions, you will get a better understanding of the legal process that will be involved in your case, as well as what you can expect from your lawyer. What Type of Law Do You Specialize In and How Many of These Types of Cases Have You Handled and Tried Before a Jury? You would not go to a criminal lawyer and ask them to assist you in a divorce proceeding. You also should not go to a lawyer who specializes in birth injuries and tell them about your mesothelioma claim. 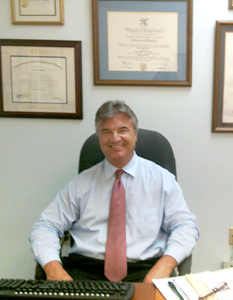 Getting a lawyer who specializes in your specific type of injury will greatly help you. Lawyers who specialize in a certain area of personal injury law are more likely to know the specific legal process involved and be able to get you the best results. They litigate and settle these kinds of claims every day, and most likely, nothing in your case will be entirely new to them. You want the very best lawyers possible, with the most experience dealing with your specific type of injury and area of the law, in order to ensure that you receive the maximum amount of compensation. If you do not feel that the lawyer you are hiring is qualified for your specific injury and area of the law, you may be better off finding another personal injury lawyer. Before hiring your attorney, you also should have an idea of how experienced and knowledgeable they are in personal injury law in general. Getting a sense of how many years they have been practicing law, and how many cases they have tried and settled, is a great way to be informed of the attorney’s experience and their ability to help you. How Does Your Fee Agreement Work? Many personal injury lawyers do not charge an initial consultation fee. Our firm always provides our prospective clients with a free and confidential initial consultation. Some injury lawyers also will tell you that they only will receive money if you do. This is true with our firm. We do not get paid unless and until you get paid. You also will need to ask your prospective lawyer how much of your recovery will go towards lawyer’s fees. This is often a percentage of what you are awarded by a jury or settle for. The percentage usually varies from law firm to law firm and may depend on the type of claim you have. However, if you do not win anything, the lawyers generally do not get paid anything. This way of paying for your lawyer is called a contingent fee agreement. An average of 33-40% of your award is a typical contingency fee. How Long Does It Typically Take To Get Compensation? Every state is different, and different types of cases, injuries and claims will take different amounts of time to resolve and get paid. If you agree to settle your case, it will take less time to recover damages than if you decide to bring the case to trial. Quite often after a personal injury accident, money is needed to pay for medical bills and other necessary expenses. You may be able to recover some of these different types of damages more quickly. However, it is also possible to receive money for such things as the loss of companionship of your spouse or child, and pain and suffering compensation. In Massachusetts, it typically takes 1 ½ to 3 years until a trial is scheduled if the parties are unable to settle the case. It may take a longer time, depending on your injuries. Your medical diagnosis is a key factor in determining the amount of money you are likely to be awarded. http://www.cookelawoffice.com – What reason or reasons should I hire you? What will you do for me in helping to win my case? What is your experience in trying similar cases to mine in the jurisdiction where I will need to file if necessary? 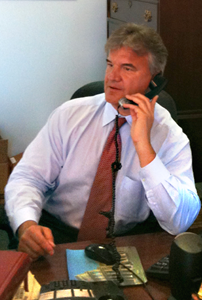 http://www.axelgomez.com/ – My questions: How long have you been handling personal injury cases? What percentage of your caseload is personal injury? How do I know you know what you are doing? http://www.roydwyer.com/ – What is your experience in doing PI cases? How many cases have you filed and taken to court? What is your success rate? http://www.caraccidentpain.com – Who is going to pay for my damages? How do you as my attorney get paid for your service? How long does a typical case take to settle? 1. Please tell me your experience in dealing with cases like mine, and give me the names of references? 2. What are the factors that determine the value of my case? 3. What do you need from me (client) to help you in the handling of my case? The first question is obvious. A client should know the experience and reputation of the lawyer they are hiring to handle their case. The more experience a lawyer has, the more able they are to handle the litigation of an auto accident case. The better the reputation, the better offers the lawyer will get from the insurance adjuster or opposing counsel. The second question is also important. Often times, clients have unrealistic expectations. This is usually due to the fact that they don’t understand the important factors that determine the value of their case. When their lawyer explains to them at the outset that the significance of the injury, the cost of the treatment necessary to address that injury, surgical considerations, complications, lost earnings and earning capacity, among other things, are the primary determining factors of case value, it can help a client get a better understanding of the likely outcome. Finally, a client needs to know what the lawyer will need as the case progresses. When an insurance company has made a dissappointing offer on a case, it is often too late for the client to learn that his failure to follow up with the recommended medical care, or significant gaps in treatment, have had a negative effect on the insurance adjuster’s opinion of his case. A detailed explanation of the client’s responsibilities in the attorney/client relationship is vital. 2. What do you think the case is worth? 3. Will you be the one handling my case? https://www.dolmanlaw.com/ These are the three most important questions from my perspective. 1.) Are you willing to litigate this case up and to the point of trial if necessary? 2.) Does your firm have the financial resources and wherewithal to see this claim all the way through to fruition as opposed to taking a quick lowball settlement offer? 3.) Who is going to pay my medical bills? dhirschpc@aol.com – Do you have an understanding of how insurance companies will ultimately evaluate my case for settlement purposes from having handled these sorts of cases in this area in the past? Do you routinely settle cases for what the insurance companies first offer or are you willing to fight to get me every dime my personal injury case is truly worth? Are you willing to take my case to trial if, after your having explained to me the costs and risks of trial, I decide that is how I want my personal injury case handled whatever the verdict may be? 1. What makes your firm different than the others? 2. What kind of medical treatment should I get? 3. What can I expect when I make a claim like this (how long does it take)? 1. Does my case merit hiring an attorney? 2. Will your office handle my case, or are you a part of a bigger firm with satellite offices all over the state? 3. Will I deal/speak with an attorney about my case, or will I be speaking with paralegals only? 1) If I hire your firm, which attorney will be responsible for my case? 2) Which attorney will I be able to speak to about my case while it is pending? 3) How long will my case take? 1. In your opinion, do I have a case? 3. What are the potential problems we may run into by the insurance company to try to minimize my case’s value and how can we avoid those. 1. Can you explain LIABILITY? What does that mean and how does it work in my case? 2. Can you explain how any MONETARY RECOVERY works? How or from whom might we recover any money, and how does any monetary recovery get disbursed? 3. Can you clarify your Retainer Agreement, as it will apply to me and my case? What does CONTINGENCY FEE mean? What does Gross Recovery mean? What does Net Recovery mean? From which of the above (Gross vs. Net) does your CONTINGENCY FEE come from? Can you explain by breaking down how any potential recovery pays for the car repairs, medical expenses and any other losses? In my over 30 year legal career and my over twelve (12) years of judicial experience, I have found that generally, the most important issues to clients are: Liability, Monetary Recovery and Distributions and Attorney Fees and Expenses.